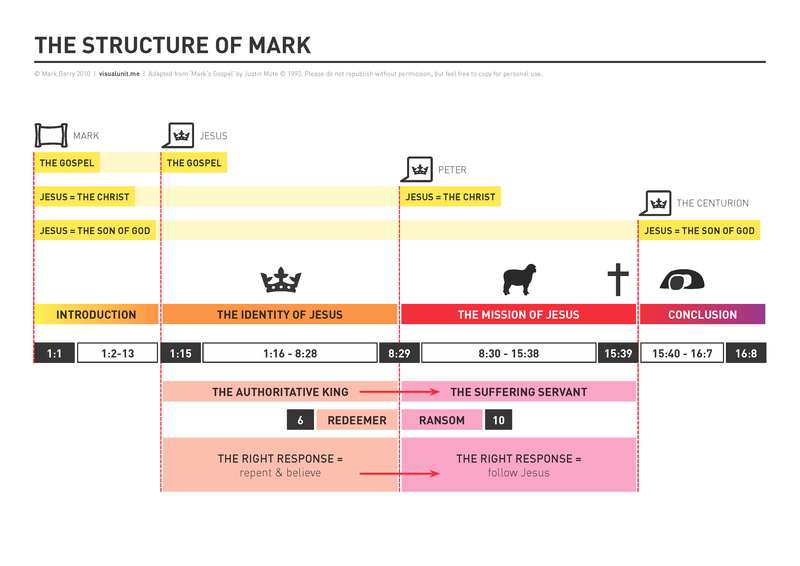 This entry was posted in English and tagged gospels, Mark, New Testament, overview, structure. Bookmark the permalink. This one is the most helpful one! I’ll illustrate my conspects of NT with your infographics! This is a great site Mark. Might I have permission to include this graphic in my study notes to small group leaders at my church? Sure thing, Jon. Feel free to use the graphic in your study notes.